The photographer took this image one fine autumn morning and was able to capture a lot of drama in a single shot. 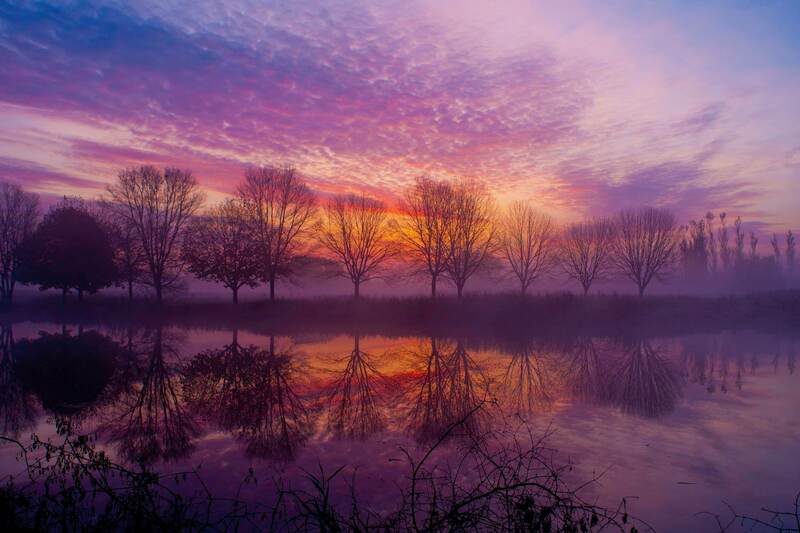 The slightly misty environment along with the vibrant sky boasting of early morning colors add a punch to the image. While composing the shot, the photgrapher included the reflection of the trees and the sky on the water to add even more wow factor to the photograph.